Punny, yes. Funny? No. 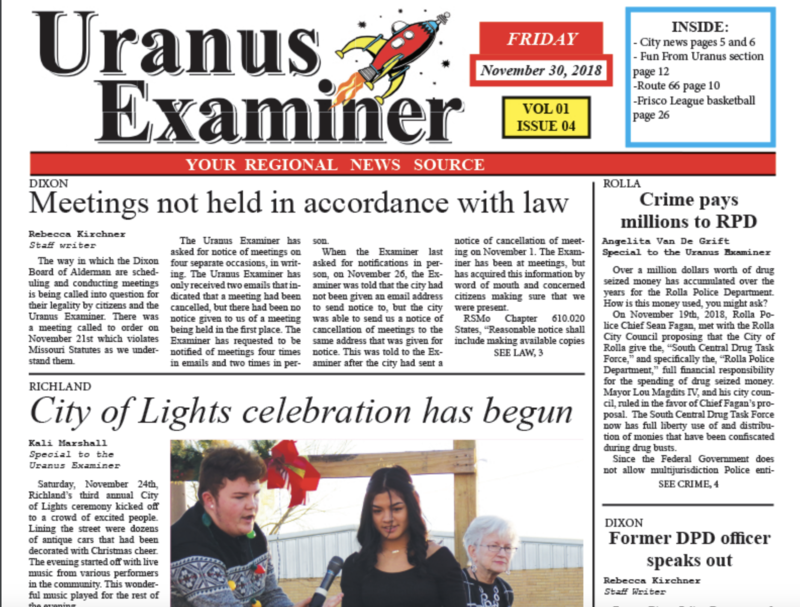 The closing of the Uranus Examiner presents a serious problem for the residents of Pulaski County now that its lost its only locally-produced newspaper.